Green water/algae or cloudy water caused by over-feeding and fish waste is unsightly in an aquarium and can be dangerous as it may alter the pH and oxygen levels in your aquarium. 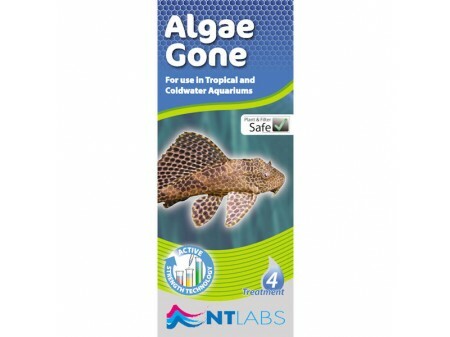 Algae Gone is a single dose plant-friendly treatment that will clarify the water in your aquarium. It works by clumping the minute particles together enabling your filter to strain them out. NB: This product is for the treatment of green water. It will not treat hair or slime algae.